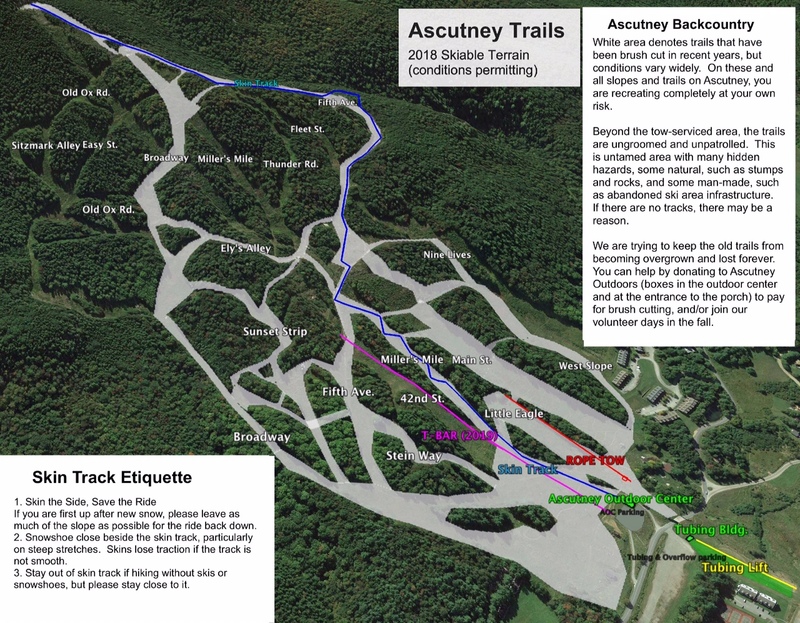 Winter at Ascutney guarantees adventure! Quickly gaining popularity as an easily-accessible backcountry destination for skiers and snowboarders, the former Mt. Ascutney Ski Area slopes are being reclaimed to re-open some of our favorite terrain, offering open slopes of un-groomed powder. As you pack up your skins ready for the epic downhill, you can’t help but to pause for an extra minute or two, taking in the breathtaking views across the valley of West Windsor and beyond. 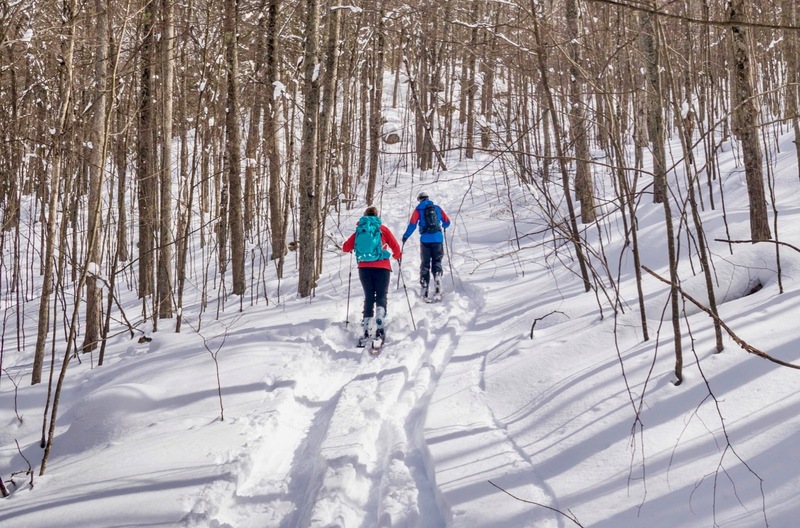 Further to the West at the Town Forest trailhead, venture up and around the Bicentennial Trail to explore open glades and find pockets of untracked New England powder. Please note: These areas are unmaintained and unpatrolled, so backcountry skiing & riding is always at your own risk. You ski at your own risk in the backcountry. The backcountry areas on Mt Ascutney are not patrolled and there are no provisions for rescue. Hidden hazards include, but are not limited to, fallen trees and old ski area infrastructure. Weather and snow conditions can change without warning and dramatically change the difficulty of skiing. Never ski alone and be prepared for emergencies. Important safety tips for skiers are listed on the Catamount Trail Association’s website CTA’s website . A groomed loop for xc-skiing can be found on privately-owned Mile Long Field, which is open for public use thanks to the generosity of landowners. If you’re exploring the ungroomed trail network on snowshoes or xc-skis, a detailed map, signed and numbered intersections, blue blazes and the tracks of those who’ve gone before will help guide you through forests, over fields, around frozen waterfalls and past rock formations. Visit our ‘location’ page for more information and directions to each trail head.